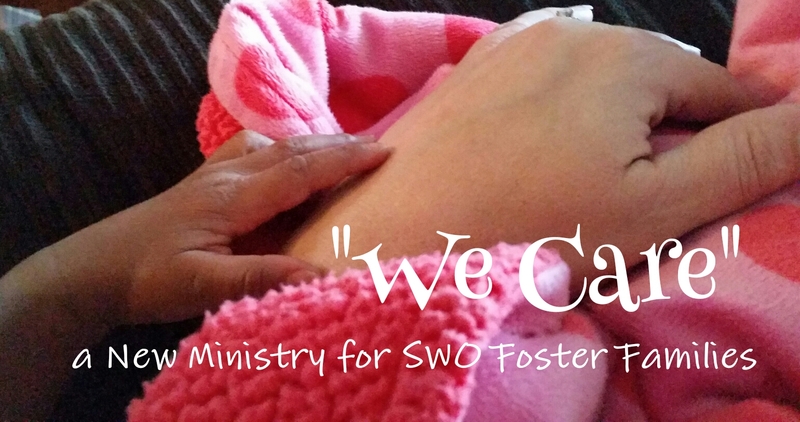 We Care is a brand new ministry for the Foster Families in the South Western Ohio District. Our goal is to bring Foster Families together for support and encouragement as we … “Trust God Through The Twists & Turns Together”. We will connect through events, private Facebook and email groups. Not a Foster Family?? You can still support We Care by spreading the word to your church & foster families, join our encouragement team, or donate gift cards (any where, any amount).